Directions: Being on Hwy. 11, 4 miles north of Kinston & 3 miles south of Grifton. If traveling south you will have to go past the sale site & make a U turn, turn on Grainger Station Rd., then go straight onto Walter Ramsey Rd. John Deere 7130, SN-LO7130H591511,powered by 100 hp 6-cyl. diesel, power quad transmission, (3) sets dual remote hydraulic outlets, cab, 10:00-16 front tires, 18.4R38 rear tires, 1908 hrs., long axles. 2009 John Deere 6700 sprayer, SN-022016, 420 gal. tank, 60’ booms, hydraulic tread adjustment, w/Trimble guidance w/FM750 screen, 2091 hrs.. 4- wheel. 2005 John Deere 6700 sprayer, SN-X012078, 420 gal. tank, set up to spray 8-rows tobacco. 1748 hrs., 3-wheel. Powell 4-wheel sprayer, JD 4-cyl diesel, set up to spray 4 or 8 rows. 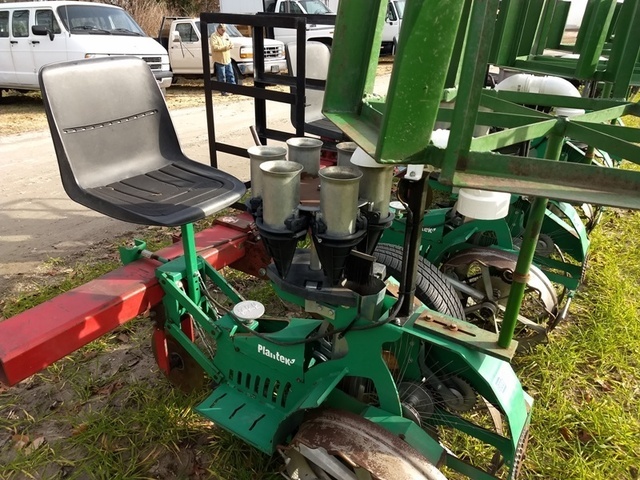 4-row hi-clearance hooded sprayer, set up to mount on Powell hi-cycle. Yale forklift GP080LFNSBV008, 4-cyl. gas,shuttle shift, 14’ mast, 40” forks, 8000# capacity. Toyota forklift 42-4FG15 LP gas, shuttle shift, 12’ mast, 46” forks, 2600# capacity. 2005 IH 4300, DT 466 diesel, automatic, power brakes, west coast mirrors, 22.5 Budds, 245” wheel base, AMH 24’ van body, 163,873 miles. 1994 GMC Top Kick, 8-cyl. gas, automatic transmission, west coast mirrors, 22.5 Budds, w/Johnie Gregory 16’ twin cylinder dump, 205” wheel base, 177K miles, has 2’ extension added to rear, ratchet tie downs on side, 17” wood sides. 1992 Ford F350, 8-cyl. gas, automatic transmission, west coast mirrors, 16” Budds, w/Quality 12’ steel body, Brute style rear bumper, 94,033 miles. 1996 Dodge 12-passenger van, 8-cyl. gas, automatic transmission, below eyeline mirrors, 16” tires, 156,826 miles. 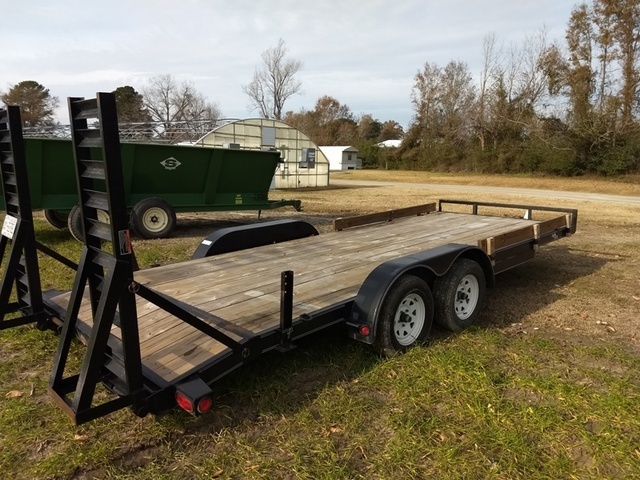 2009 Load Trail 7’ x 20’ flatbed tandem axle trailer,loading ramps, 15” tires, 2” ball hitch. BULK BARNS, IRRIGATION & TOBACCO EQUIPMENT. (20) Tharrington box barns, (18) 8-box, (2) 10-box, all have floors, lined, single phase, natural gas, all have Cure-Co System, (6) w/Evans heat exchange, (8) w/Tharrington heat exchange, (5) w/Bulk Tobac heat exchange, (1) w/DeCloet heat exchange. Rainbow Mdl. 7000 irrigation pump, SN-11275, pump Mdl. C5B6418-40C. JD 4-cyl. diesel, 100 gal. 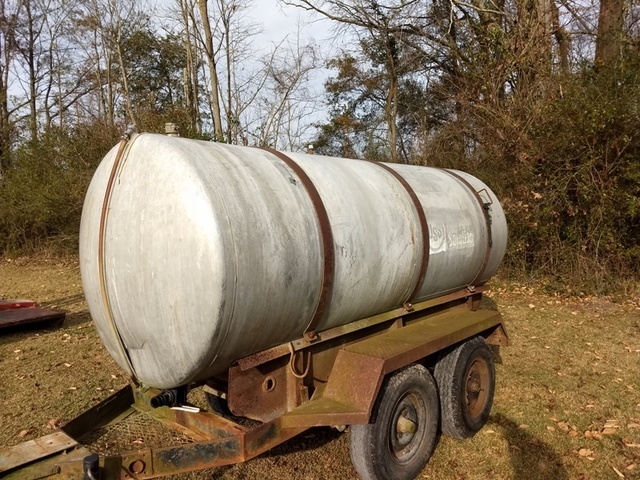 fuel tank, 2306 hrs., single axle pin hitch. Hale Mdl. 50FP2-R1000, 1000 pto irrigation pump, 3-pt. Long irrigation reel on 4-wheel carrier, aprox. 900′, 4 ½” pipe, Honda rewind motor, w/Nelson 200 big gun on 4-wheel cart. Nelson 200 big gun on 4-wheel cart, will work w/irrigation reel. 1500’ 5” irrigation pipe, hawk bill latch, latch is made of 1/2 “ wide flat stock aluminum. IH 4-wheel pipe wagon, SN-2682, (could be a collector’s item). 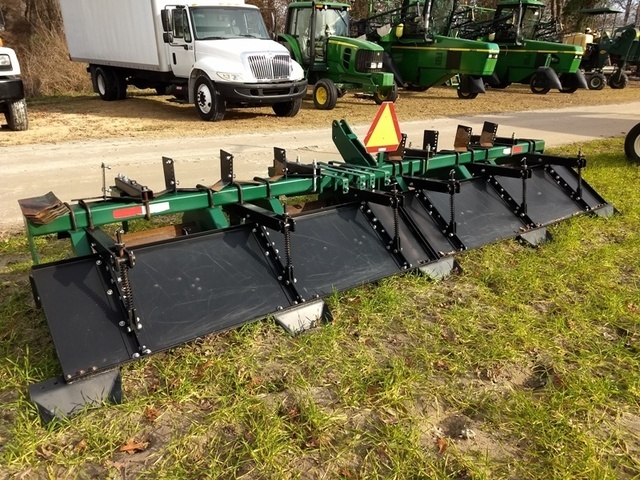 Powell/CTS Gen IV, SN-60949, 2-row harvester, JD 4-cyl. 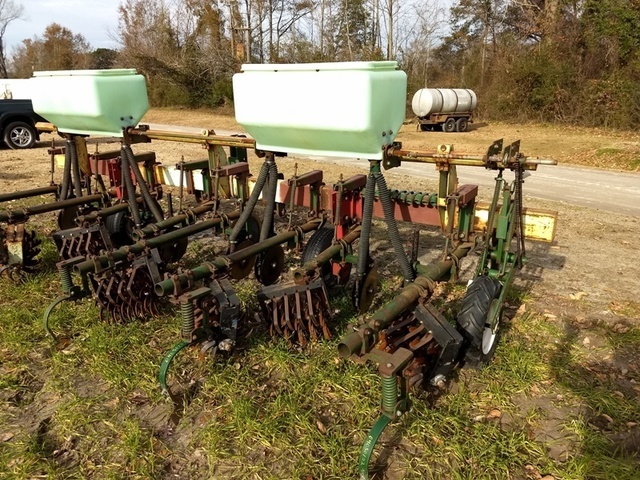 diesel, w/dump box on scales, sells w/defoliator heads. CTS 2-row harvester, JD 4-cyl. 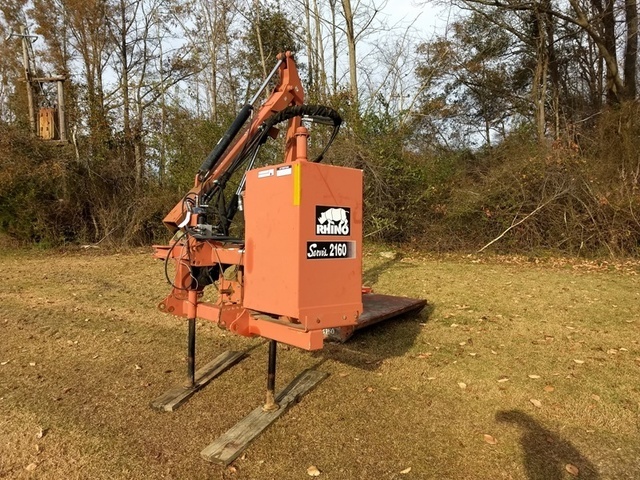 diesel, w/dump box on scales, sells w/defoliator heads, 2674 hrs. Hawk 3-wheel riding bulk leaf harvester, JD 4-cyl. diesel w/hydrostatic drive (no chains). (2) Sets Powell tipping heads. Bale squeeze – mounts on forklift. Cure Tec 4 reel hi-pressure barn humidifier on carrier. Bulk ban fans & motors. Greenhouse washer, 1 hp 110 electric motor mounted on single axle trailer, 65 gal. tank, 300′ hose, nice.. Bulk barn humidifier (spinning type). (2) Sheppard tobacco balers w/scales. Sheppard green leaf system, 3-section box handler w/center section on scales, hydraulic trailer unload motor. Sheppard hydraulic power pac, 10 hp, 1-phase. 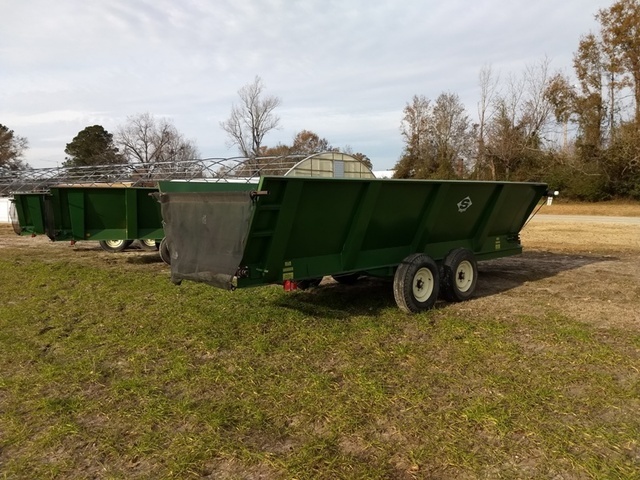 (3) Sheppard V bottom 20’ live bottom trailers, tandem axles, 16” tires, pin hitch. Sheppard hydraulic power pac, single phase. 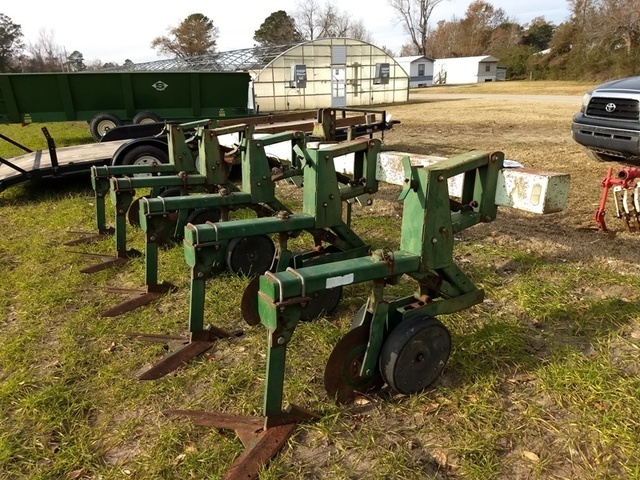 (2) 4-row tobacco setters (1) Plantek, (1) Lanner (hold 32) trays each). 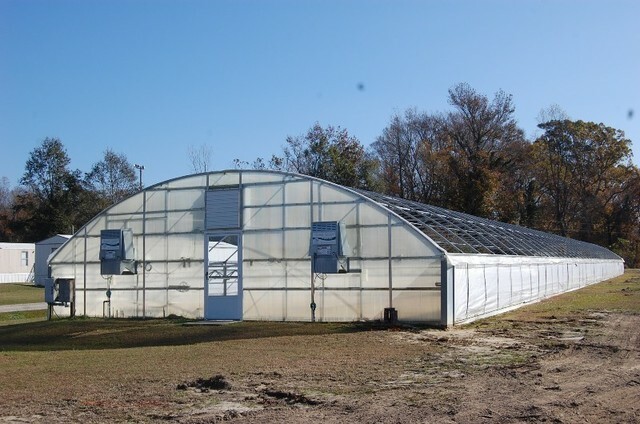 Carolina Greenhouse, 250’, auto curtains, w/heaters & fans, mower boom. Carolina Greenhouse Berry 288 cell seeder. (3000) 288 cell trays, used 1 time. Super Saver XL Hired Hand hanging gas greenhouse heater (new). (3) Long single axle trailers made into box trailer. Coffing 1-ton electric chain hoist. Overhead rail used above dry leaf system. 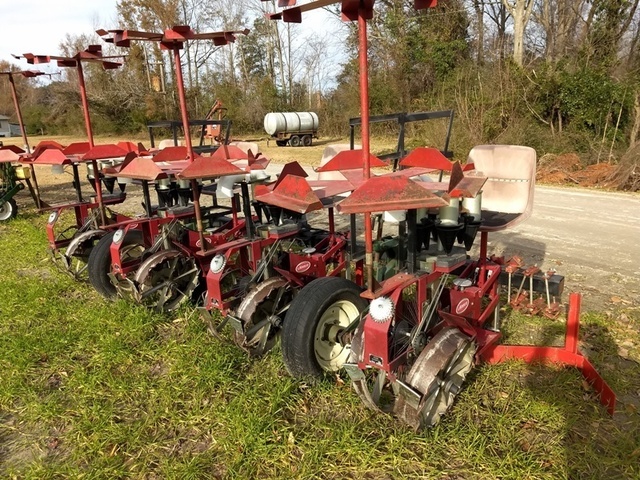 Lilliston 4-row rolling cultivator w/directional spray attachment, 46″. 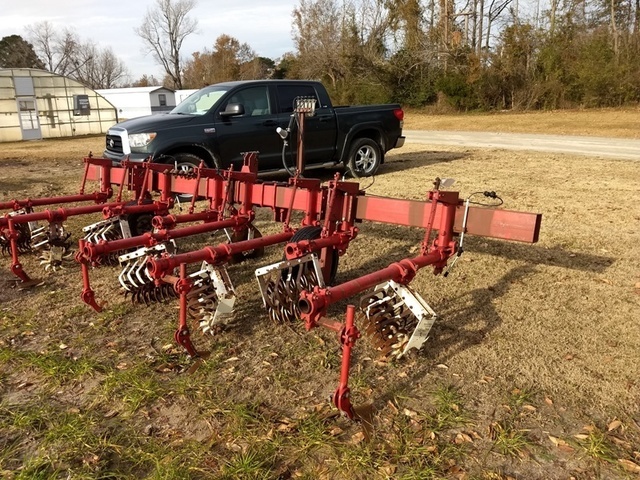 KMC 4-row rolling cultivator w/ground driven fertilizer, 46″. 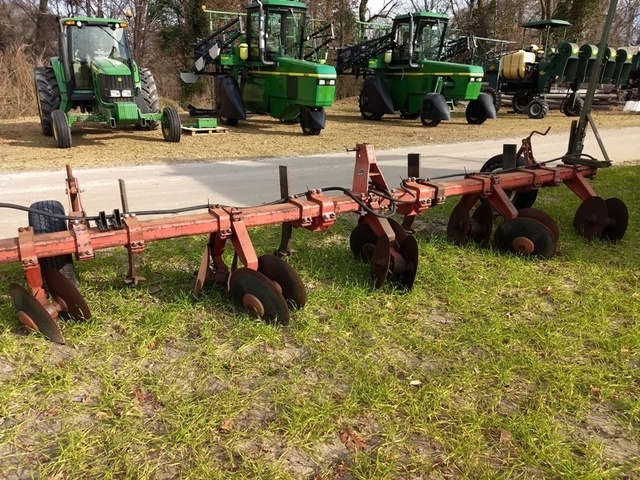 KMC 4-row sukup style tobacco plow, 3-pt. 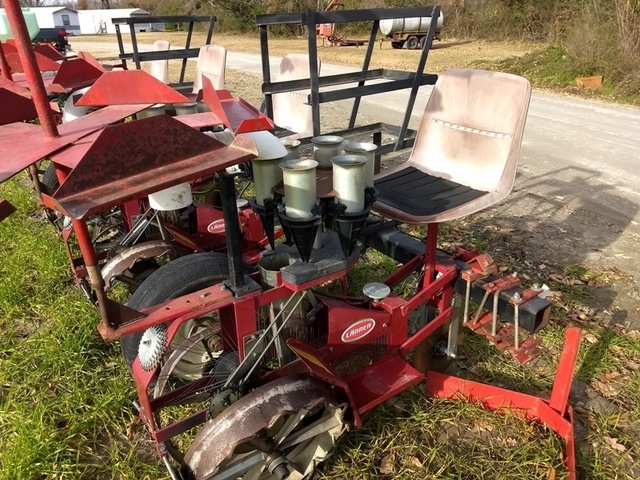 ECS Howse 4-row row conditioner. 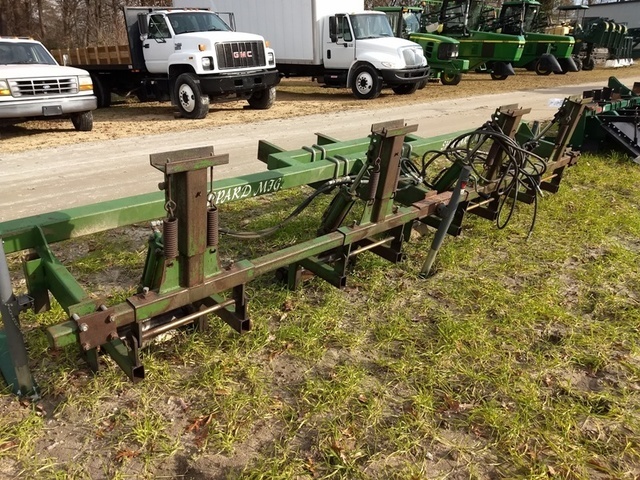 Pair John Deere 10’ folding boom frame extension for hi- cycles. Shepard 300 gal. oval front mount tank, last on Case IH MX (minus tractor bracket). 1600 gal. black poly nurse tank w/bands. 1000 gal. aluminum tank mounted on tandem axle carrier. Generac 60KW generator, 1000 pto, mounted on single axle trailer, 2” ball hitch. 18’ x 5’ loading ramp, all steel, 2’ adjustable extension on front, used for loading tobacco in van, nice. Bel Aire air compressor w/Kohler gas engine. 100 gal. fuel tank w/battery operated pump. Rhino Servis 2160 long arm hydraulic ditch bank cutter, 540 pto, 3-pt. John Deere 7130 front wheel spacers, goes to 48”. MX 150 front & rear wheel spacers, goes to 48”. (8) 14.5 tires new , mounted on rims. Auctioneer’s Note: This equipment is 1st class. Just as clean and nice as we have ever sold. No nitrogen has been in hi-cycles. This auction has been in Les’ long range plans to take place at the end of 2018. If you demand only 1st class equipment that is right, this will be your auction for sure. Every piece is nice!!!! For more info call or text Les Rouse 252-526-2945.